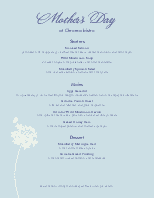 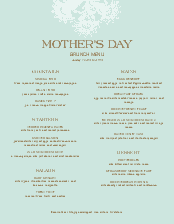 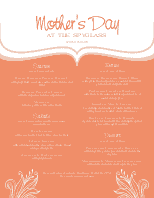 A light blue background decorated with two lacy accents at top and bottom give this upscale Mothers day menu a sophisticated look. 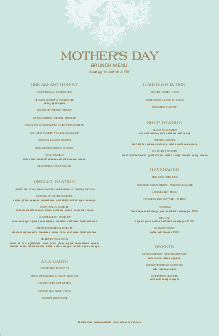 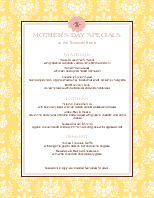 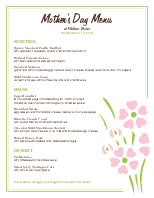 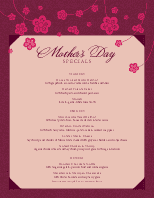 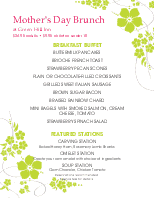 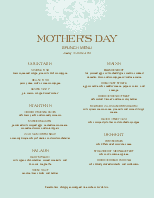 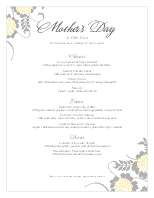 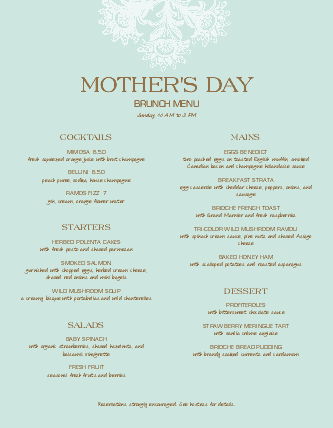 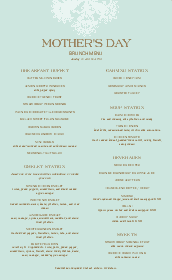 Two columns list Mother's day prix fixe options in dark brown text. 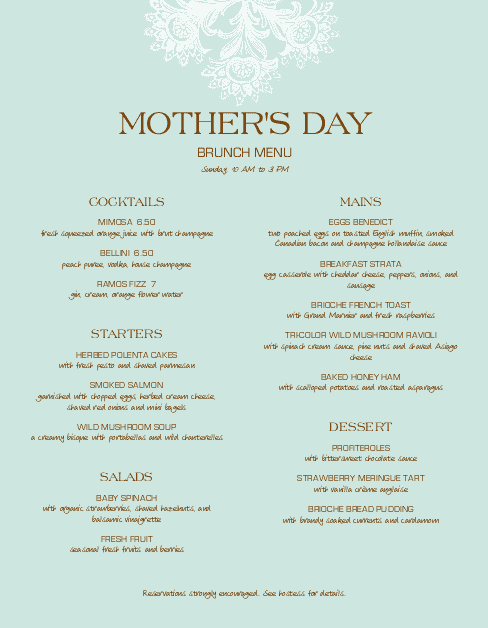 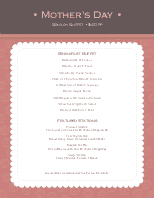 Create your own Mother's Day event menu in the online menu builder.